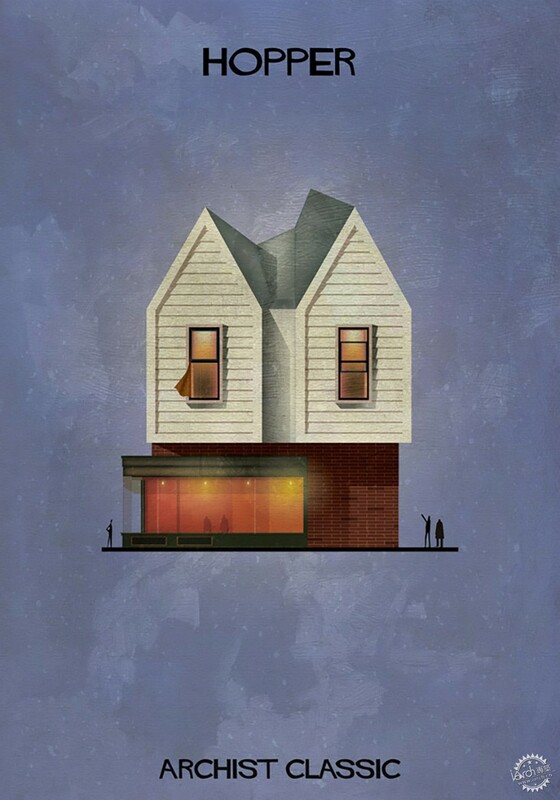 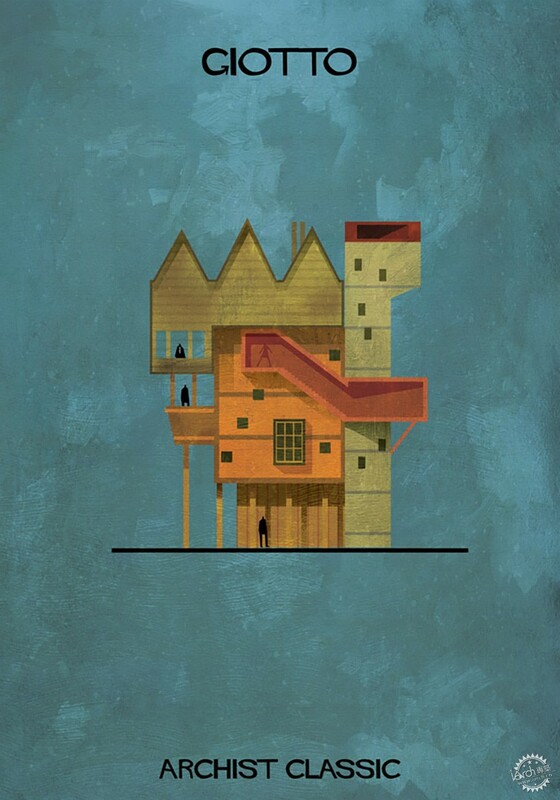 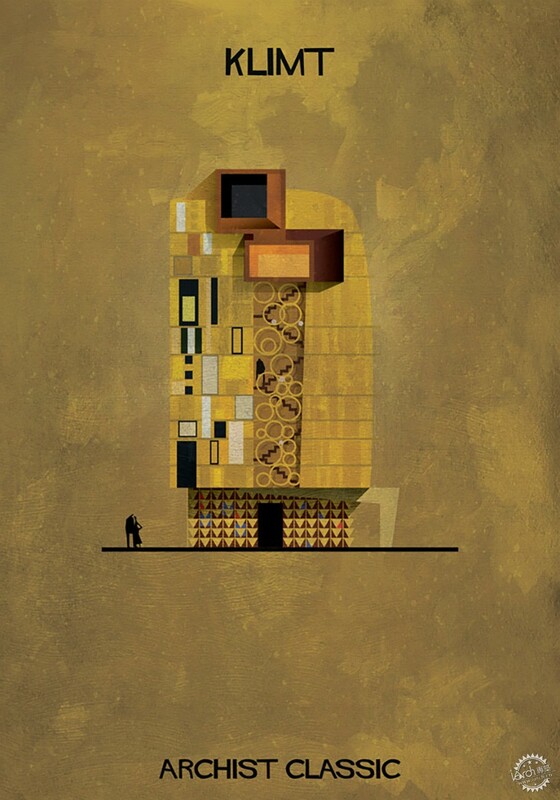 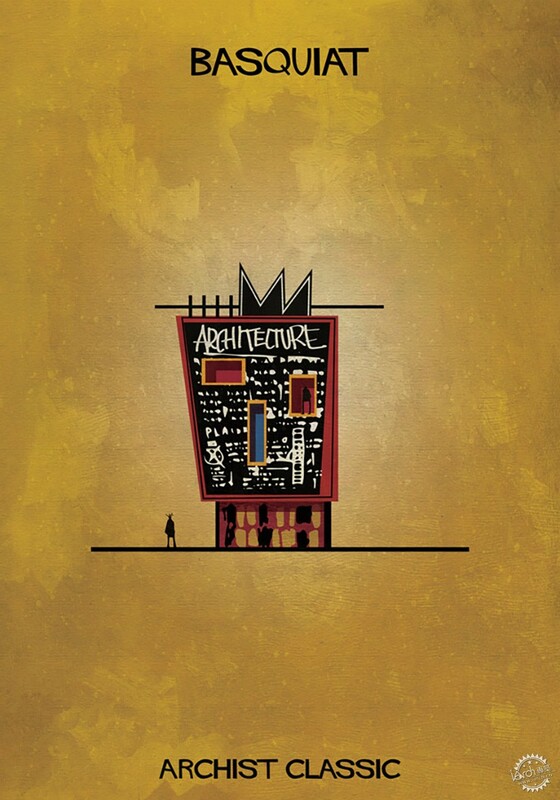 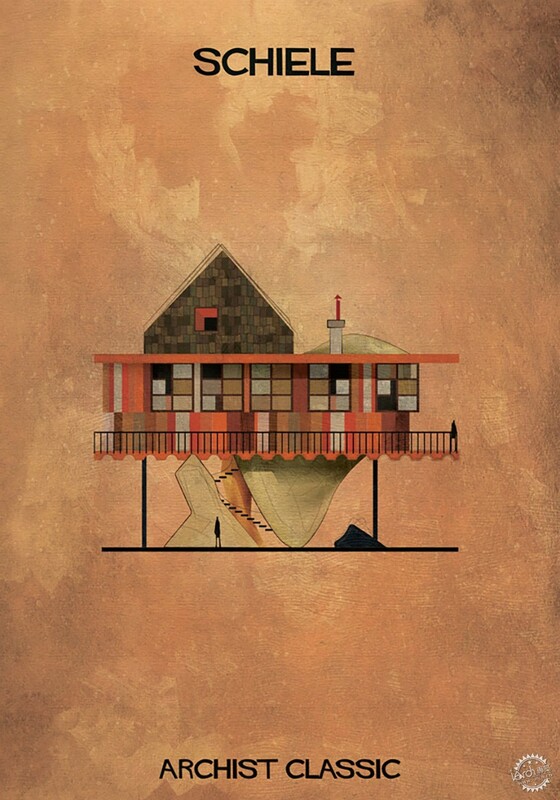 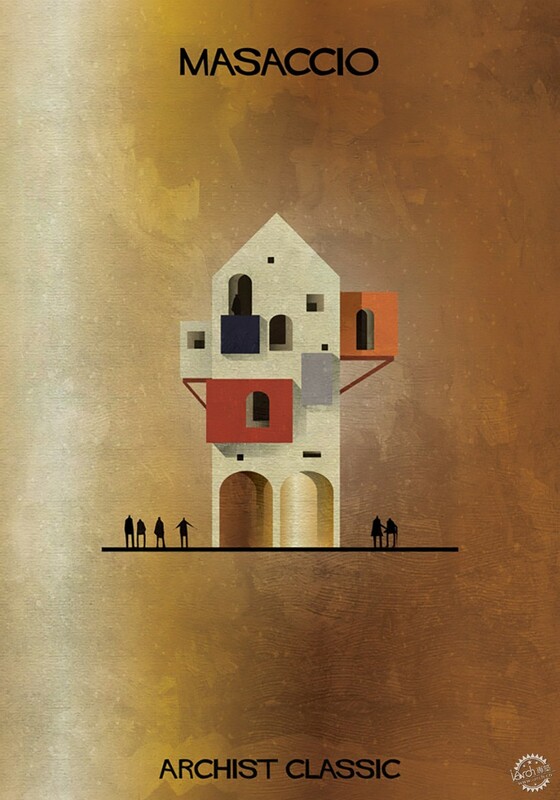 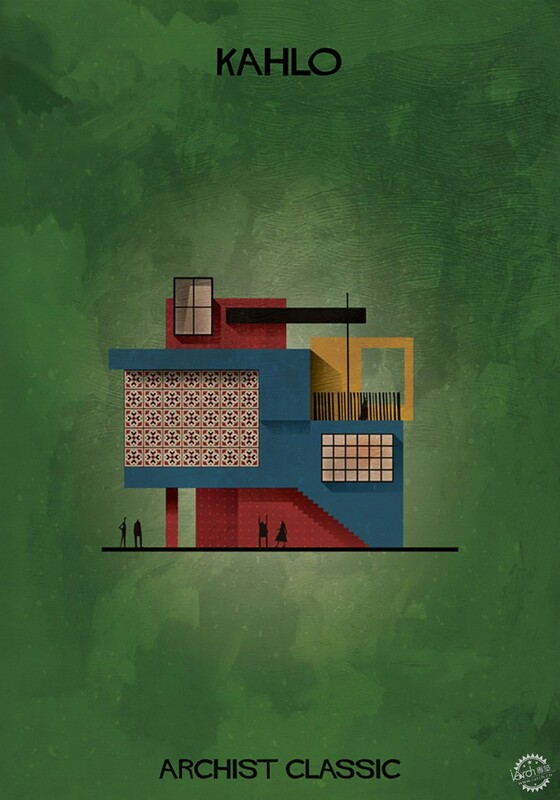 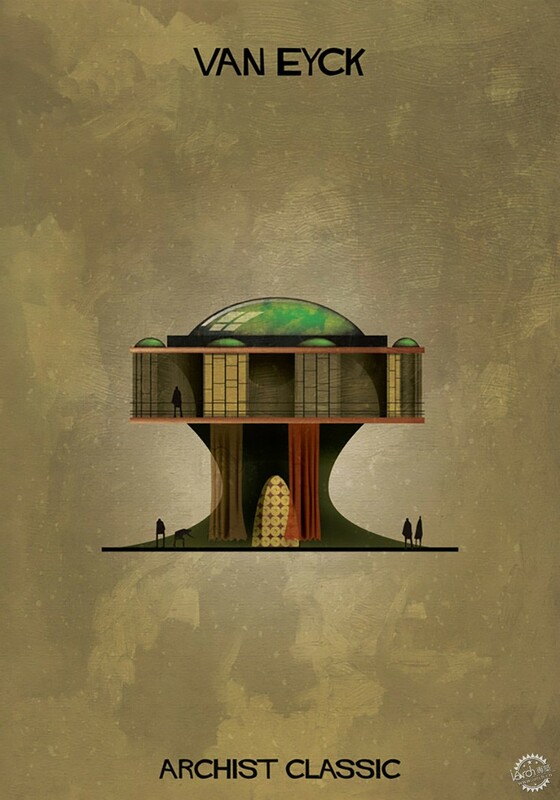 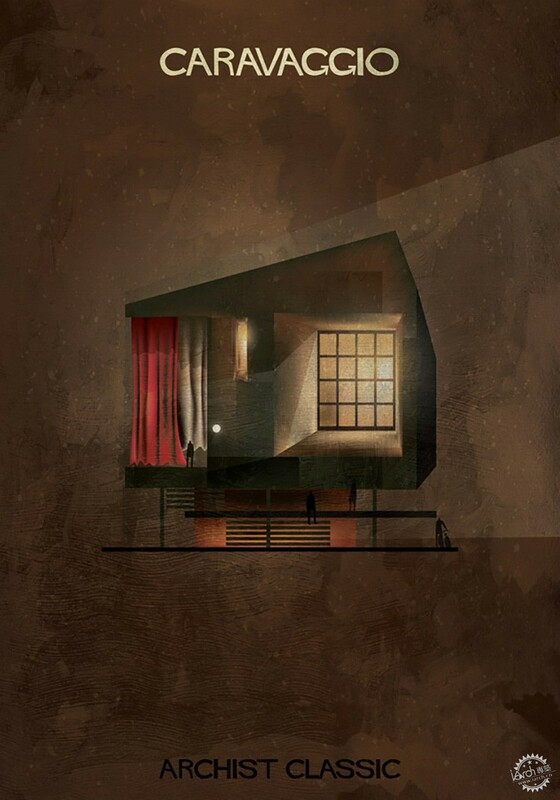 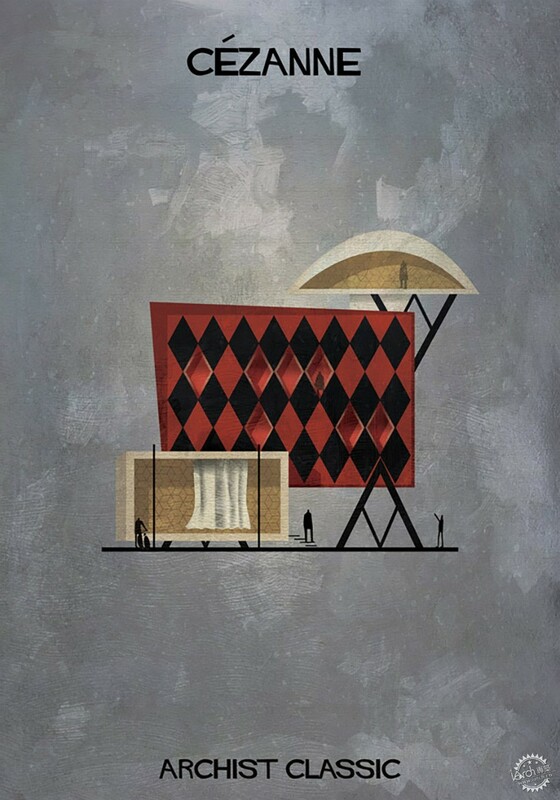 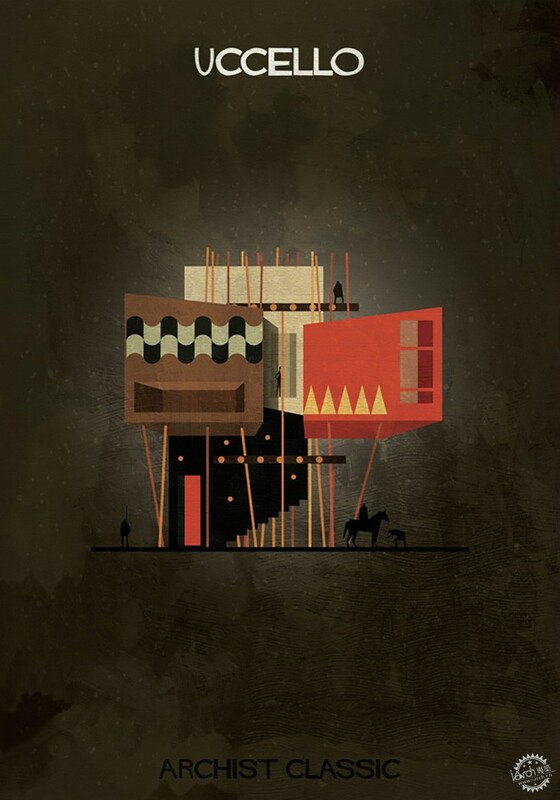 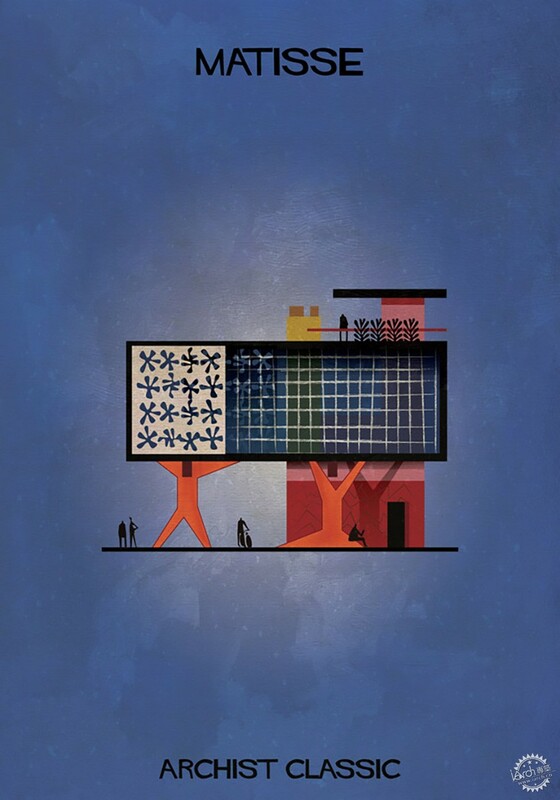 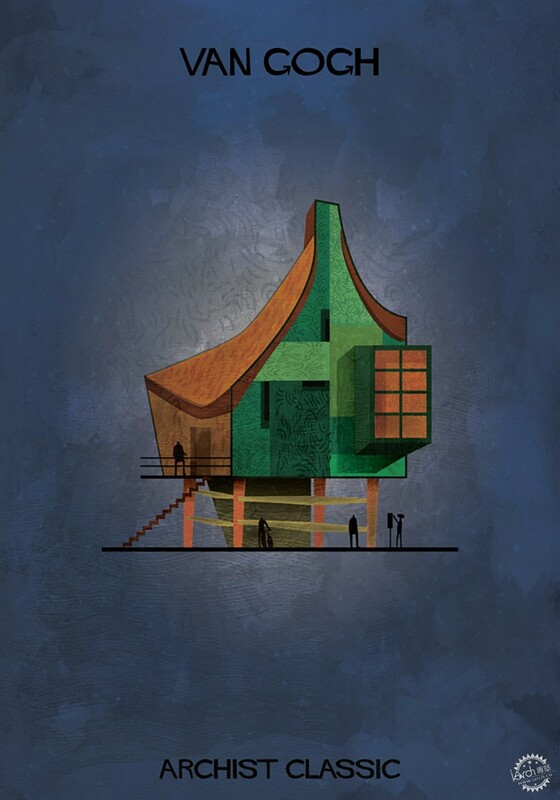 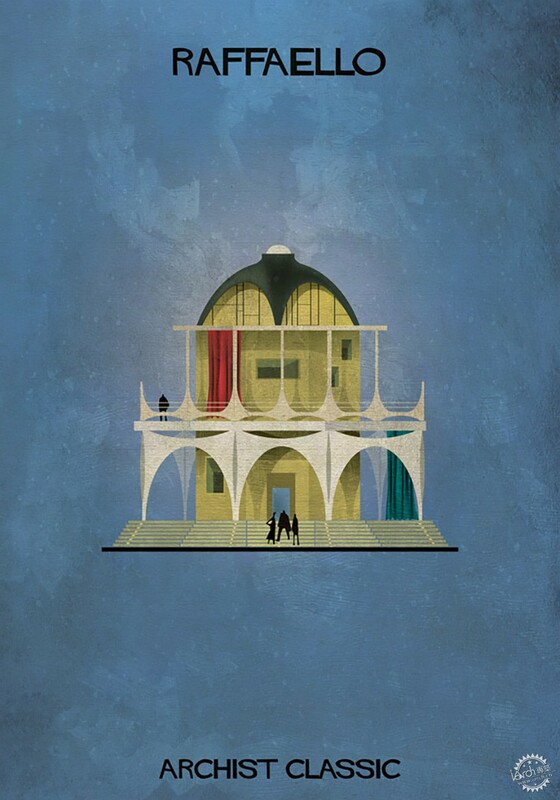 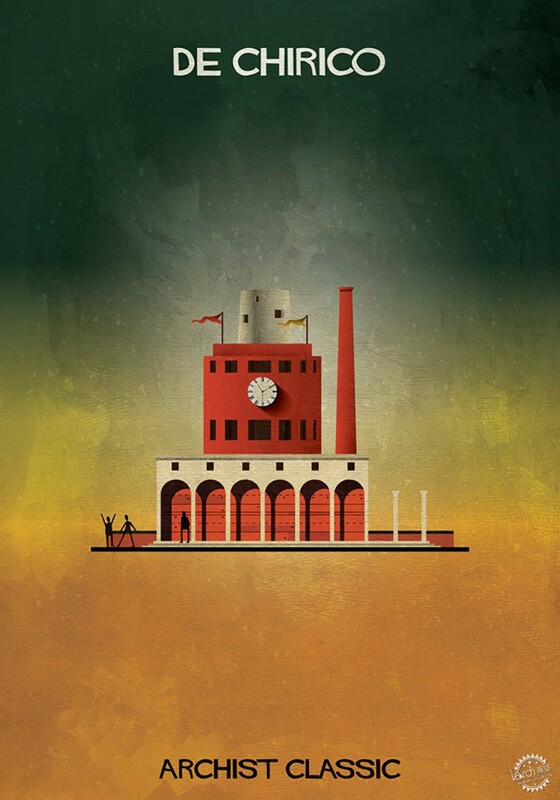 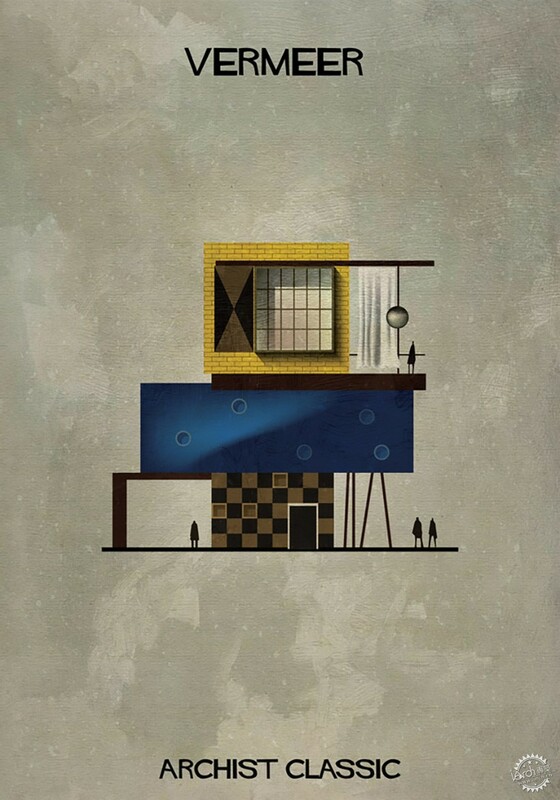 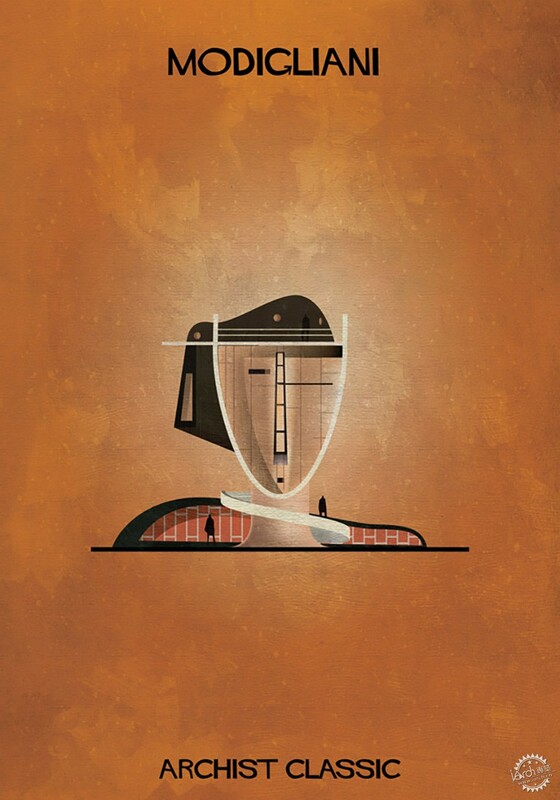 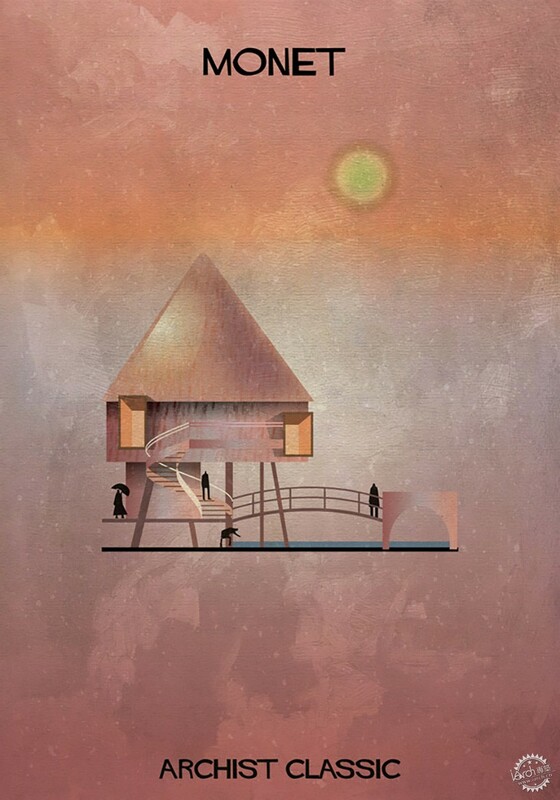 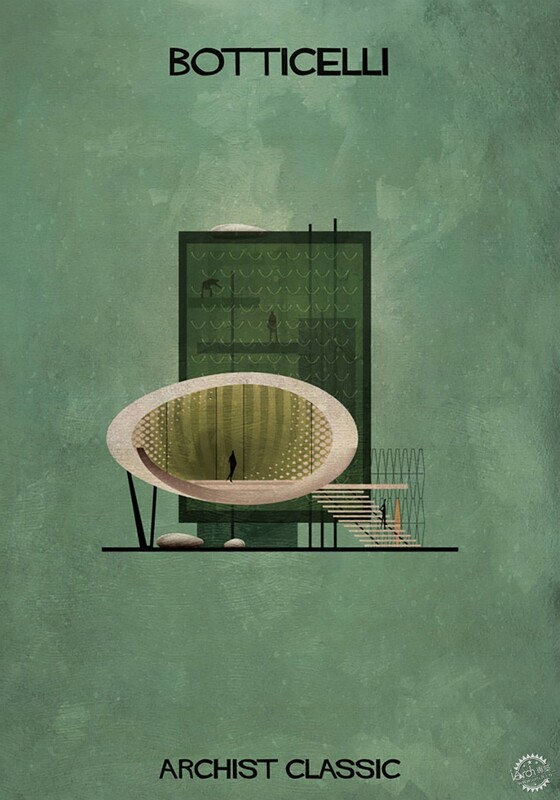 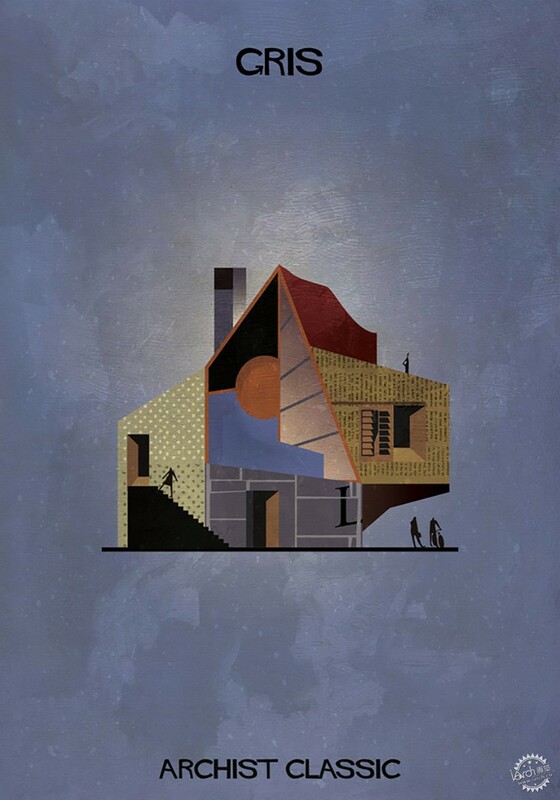 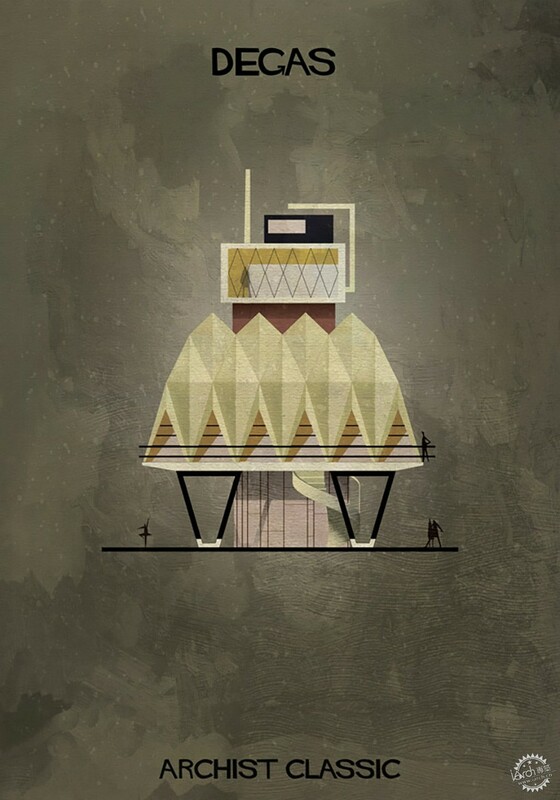 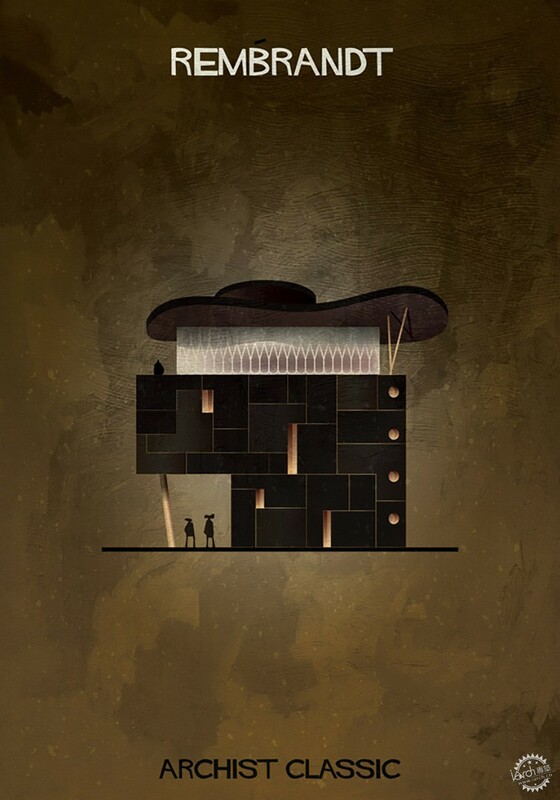 Italian illustrator Federico Babina has completed the ‘ARCHIST CLASSIC’ series in which he captures the artistic style of a historic artist in the form of a house. 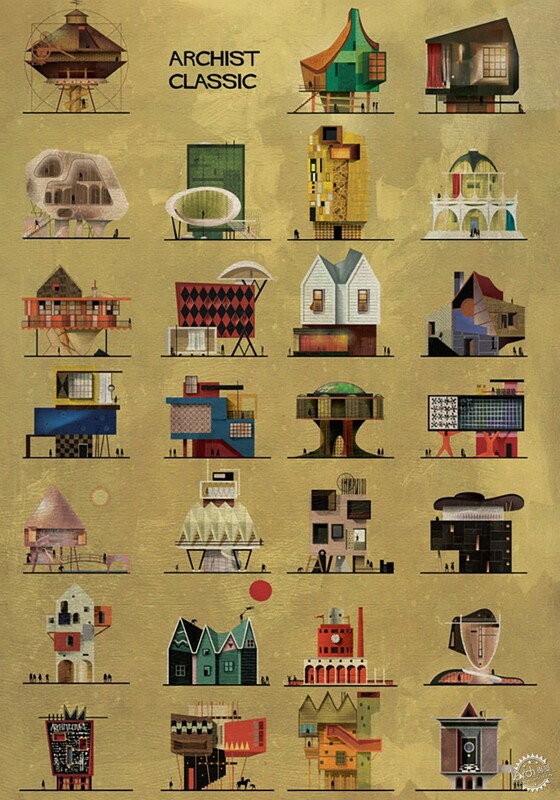 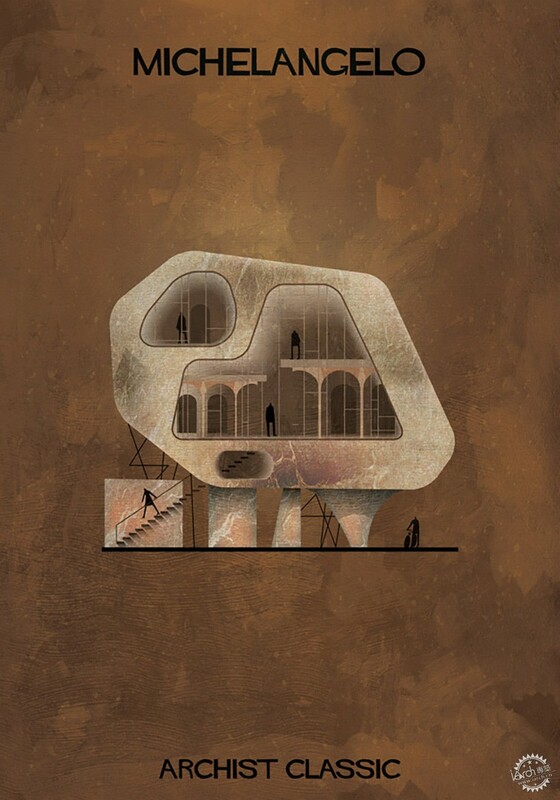 Babina’s artistic pursuit was not to imagine how an artist would design a home, but rather represent the artist’s famous styles and motifs within a single architectural illustration or animation. 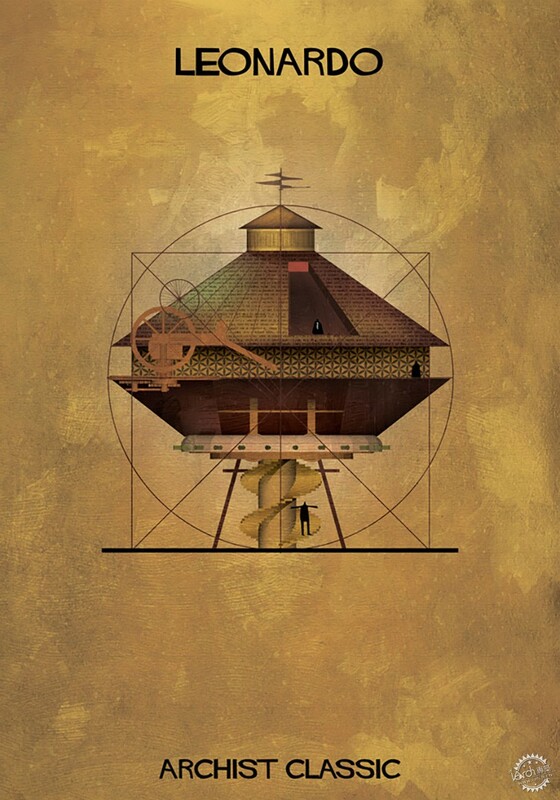 In this way, each illustration becomes Babina’s portrait of the artist, fueled by his personal interpretation of their work. 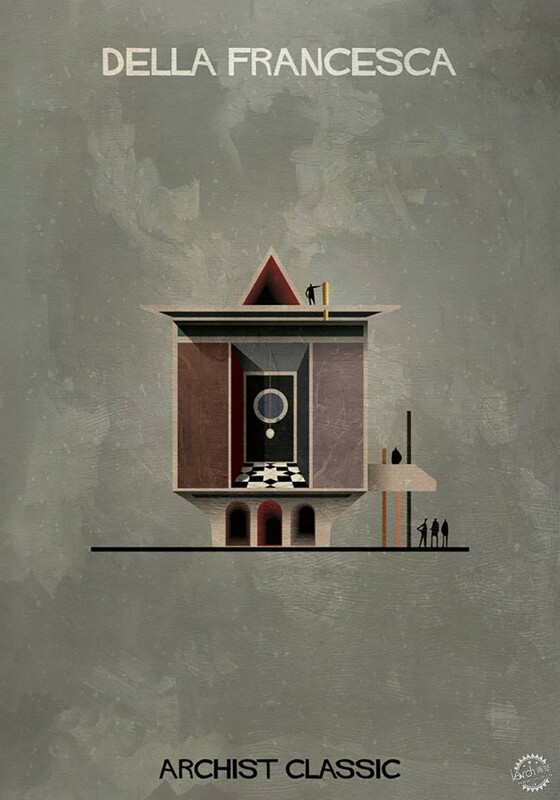 Babina states, ‘it is a series of portraits that instead of replicating the somatic features of the artist, outline an aesthetic and artistic physiognomy of the protagonist.’ The project crosses over the boundary between art and architecture and creates a dialogue between the two. 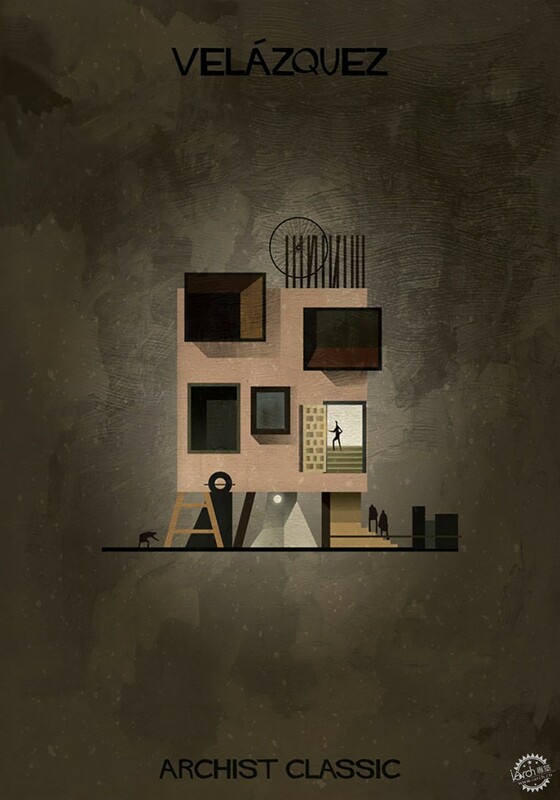 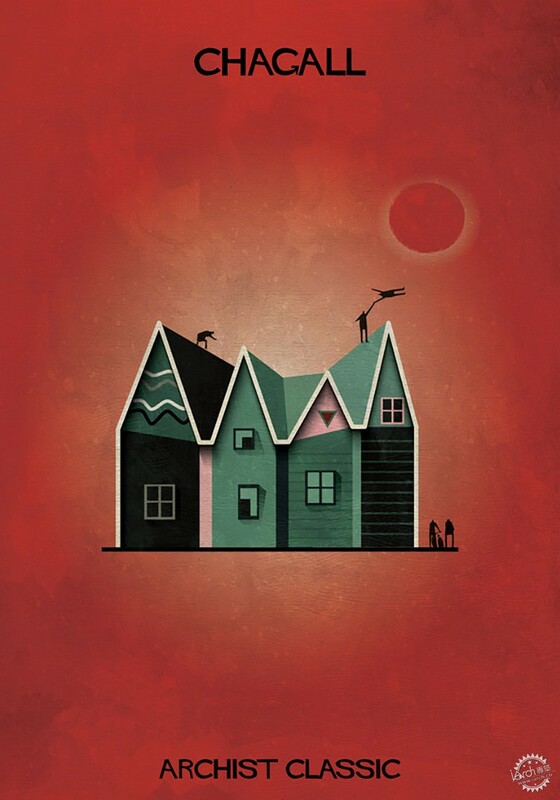 By borrowing motifs, colors, and overall shapes from each of the selected artists for each of the homes — the connection between the artist and Babina’s interpretation becomes easily recognizable.